Which Size is Suitable for Mouse Pad? As we all know, for computers, every computer will have some necessary peripherals. And with the continuous development of the personal computer, the mouse as one of the input devices of the computer is essential, in the mouse role is larger than the keyboard today, as the mouse’s golden partner – the role of the mouse pad is also higher and more people pay more attention to the water! A good mouse with a good mouse pad that is like a duck to water! When using the mouse pad, sometimes feel the mouse pad is small, after another, and feel the mouse pad too big, so big mouse pad is suitable for use? 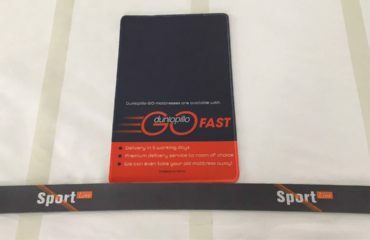 At present, the mouse pad on the market now has a fixed size and size, generally common is long 200mm wide 180mm, long 260mm wide 210mm, long 250mm wide 200mm, long 300mm wide 250mm, wide 247mm 343mm, wide 315mm 390mm a lot of friends in the choice of mouse pad time, will ignore the size of the mouse pad. Pay more attention to the effect of material and photosensitive positioning! In fact, size is also very important. How big is the size of the mouse pad? on the market most of the mouse pad, usually around 200mm*180mm, this kind of mouse pad is usually installed when the store, or business to promote advertising mouse pad! This kind of mouse pad is enough for families who do not play games, occasionally work or browse web pages. 247mm*343mm of the mouse pad, this kind of mouse pad is much bigger than the mouse pad on the market. This mouse pad is more suitable for use in offices or Internet cafes. It is a little bigger than the household mouse pad, to office white-collar workers or to game enthusiasts who like to go to Internet cafes. For example, this mouse pad does not occupy the place and the size is just right. 3.315mm*390mm, this kind of mouse pad is specially enlarged, especially suitable for professional game players. This kind of mouse pad is especially suitable for professional game personages from the material or the size, and the size of the big Dian Zishun’s slippery mats can make the game lovers play games without restraint. Enjoy the fun of the game! And more similar 600mm*340mm, this kind of mouse pad is not just a mouse pad in a strict sense. More specifically, it can be called a table mat, and even a larger size than this, such a mouse pad is usually used as a desktop decoration or used for publicity. Well, the choice of the size of the mouse pad for everyone to introduce here, we can choose the appropriate mouse mats according to their actual needs, after all, the best use is the best! I hope this article can help you buy mouse pad. Is Wrist Rest Mouse Pad Useful?